I love animals and I have had them all of my life. I currently have 3 rescues, an adult Schnauzer/Lhasa mix girl, a cat and a guinea pig. I have cared for family and friends pets when they are away. I have also volunteered at a local animal rescue shelter. 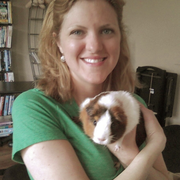 I'm an active person with a schedule that allows for reliable pet sitting!